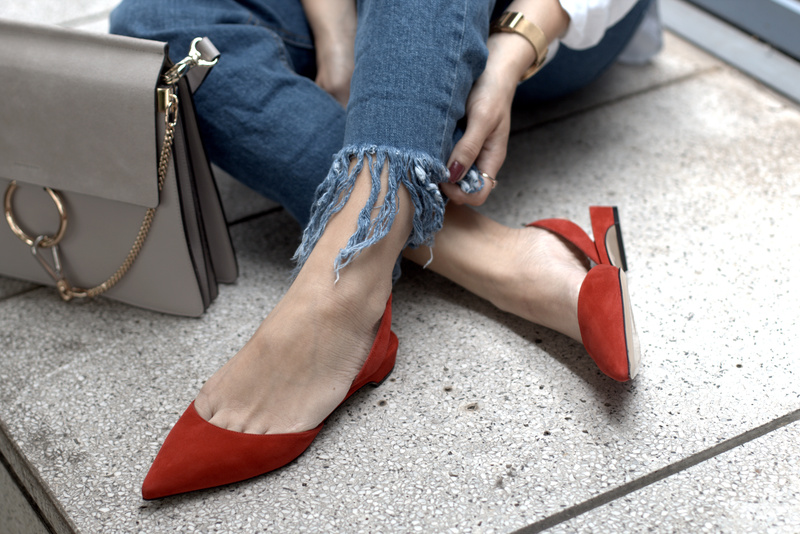 Red Slingbacks x Fringed Denim. 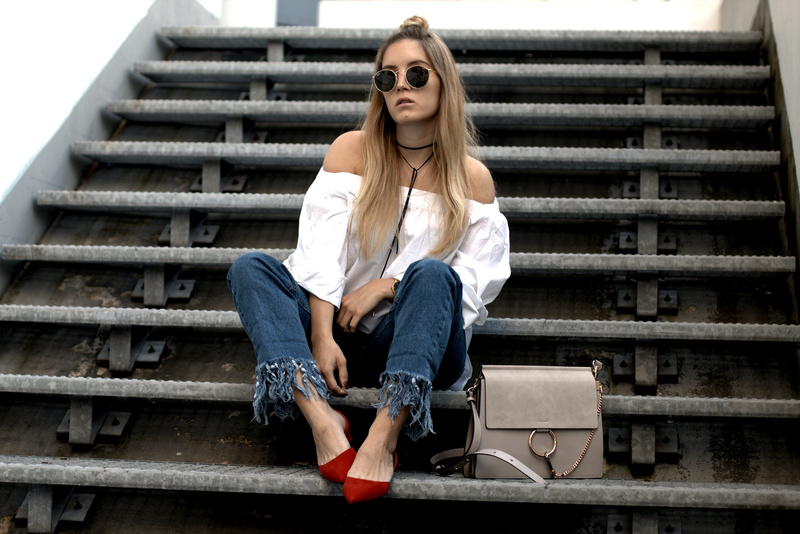 Such an awesome look and your hair is so on trend! 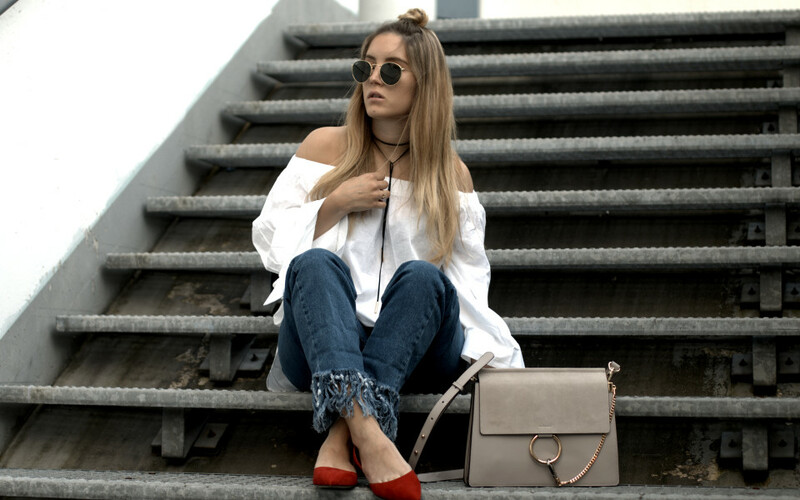 Great look, lovely blouse and bag! Genau meins! 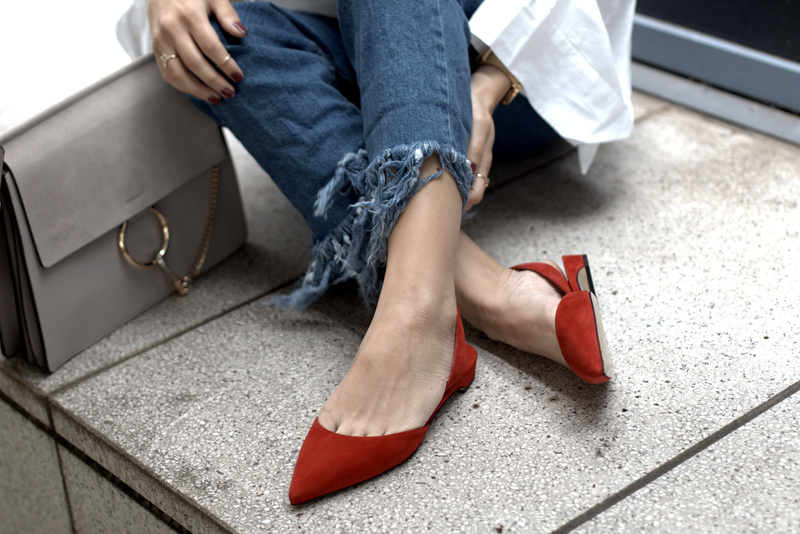 Schuhe, Jeans und Brille … super cool! You pull off this look really well!! I love your hair like that! Ganz ganz tolles Outfit und großartige Bilder! 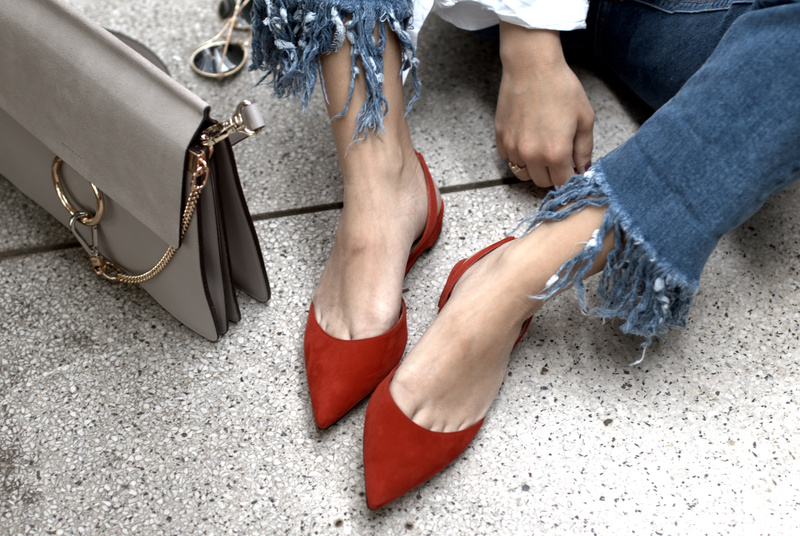 Ich mag Fringed Jeans auch besonders gerne! Bin sowieso totaler Fan von euren Chloe like Taschen!! Daumen hoch!!!! You look insanely gorgeous with this hair and this outfit! Einfach nur Hammer! Besonders mag ich die Kombination von Faye mit den Schuhen!